A Traditional Thanksgiving Hymn…about Election? Today we sang the traditional Thanksgiving hymn “Come, Ye Thankful People, Come” as a part of our worship service. This hymn sits in the “Dedication and Thanksgiving” section of our hymnal, and I suspect the editors of The Baptist Hymnal did not read past the first line of the hymn. Stranger still, the Evangelical Lutheran Hymnal (2006) places this song under the heading “Stewardship”. It seems the editors of Glory to God: The Presbyterial Hymnal (2013) were the only ones to read the entire song and categorize it appropriately under the heading “Christ’s Return and Judgment”. 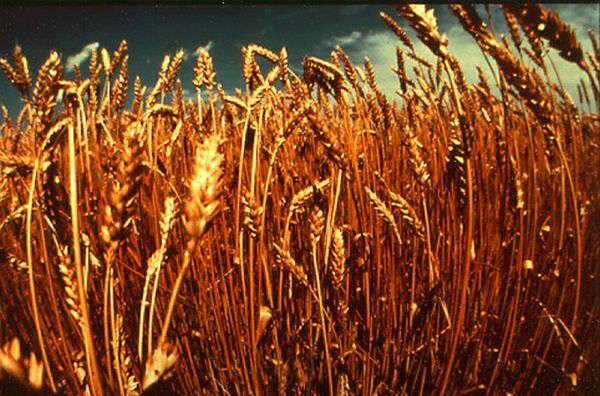 If you are familiar with Parable of the Wheat and the Tares in Matthew 13:24-30, then you will immediately recognize that this song is not about the traditional conception of harvest–which we associate with Thanksgiving, but rather with the concept of harvest which Jesus uses frequently in Matthew as a euphemism for the Final Judgment. The Trinity Hymnal (both versions) lists it under “Special Topics: Harvest and Thanksgiving”. Correct, in a sense.